It’s exactly a month today since former Formula 1 champion Michael Schumacher’s skiing accident in the French Alps left him in a medically induced coma. Doctors at the Grenoble University Hospital say his condition remains critical but stable. The prognosis remains uncertain. A few days ago French newspaper L'Equipe wrote: "After four consecutive weeks in a coma, Michael Schumacher has been placed, according to our information, in a phase of gradual awakening. It is a slow and uncertain process of return... Michael Schumacher is responding positively to the process, started this week." This was confirmed by Schumi's manager, Sabine Kehm. "Michael's sedation is being reduced in order to allow the start of the waking-up process which may take a long time," she said. "For the protection of the family, it was originally agreed by the interested parties to communicate this information only once this process was consolidated." He is receiving therapy to keep his muscles strong and to prevent his body from seizing up. 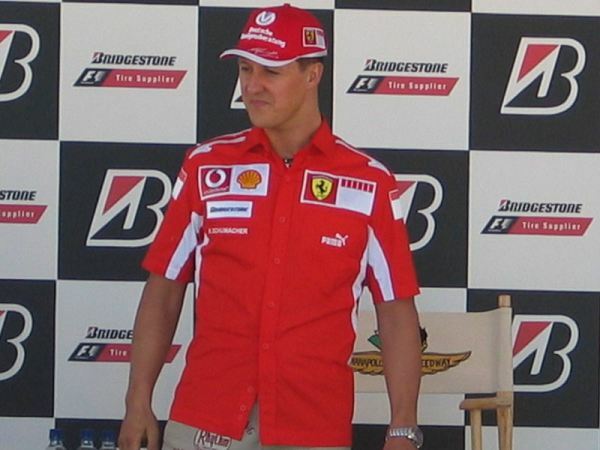 Schumacher hit his head against a rock on 29 December while on a family at the Meribel ski resort. He has undergone two operations already and doctors can still not say for sure what the consequences of the accident will be on his overall health. Doctors put him in a coma to reduce the risk of further brain damage. He is receiving 24-hour care. Current F1 champion Sebastian Vettel says he’s “I’m still in shock but hoping the miracle happens and he can be the same guy he was before,” reports the Daily Express. His former Ferrari teammates are also anxious for him to get better. "Dear Michael, having spent so many years at Ferrari, you became one of us," they said in a statement. "You thrilled us so often, bringing us great joy, but the greatest one is yet to come: namely seeing you here in Maranello again, to meet your second family, the Ferrari one." Meanwhile Schumacher’s wife, Corrina, has asked the media to leave the family and hospital in peace so he can recover. "We are deeply touched by all the messages to get well soon for Michael which are still being sent," the family said in a statement. "That gives us strength. Thank you all so much... We all know he is a fighter and will not give up."